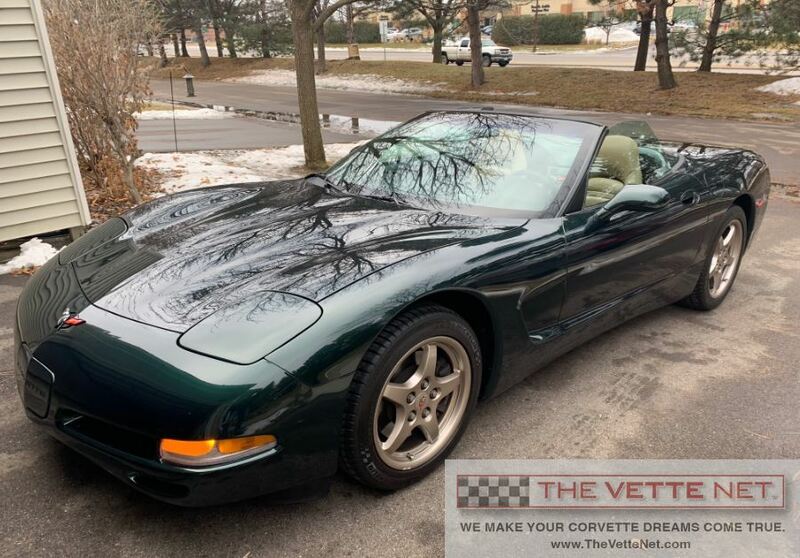 The C5 (fifth generation 97-04) offers some of the best values in Corvette market today. We would like to present to you this beautiful example of a 2000 Dark Bowling Green Metallic Convertible. Very rare with only 1663 units produced in this gorgeous color. This Vette also has a set of Michelin Pilot Sport A/S3 tries at 80% tread. Comes complete with a 3-ring binder of paperwork. Located in MINNESOTA, we can assist with delivery nationwide and all over the world. Corvette trades are considered, also financing is provided.